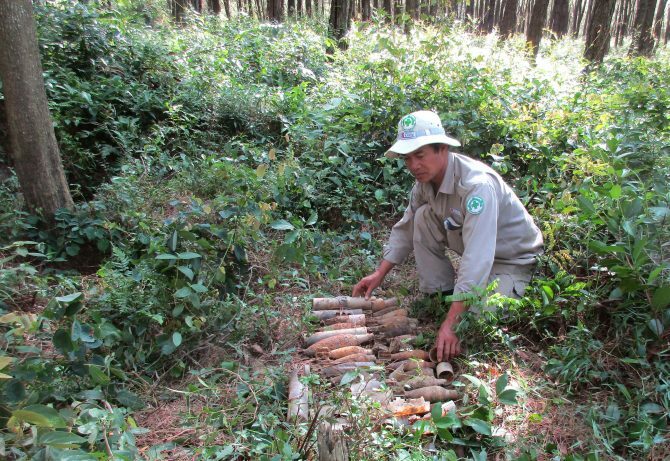 Hai Lang, Quang Tri (5 August 2016) – RENEW’s EOD Team No.1 on Thursday safely removed over 30 items of unexploded ordnance (UXO) including 60mm mortars and recoilless projectiles from a pine forest in Phu Hung Village of Hai Phu Commune, Hai Lang District. 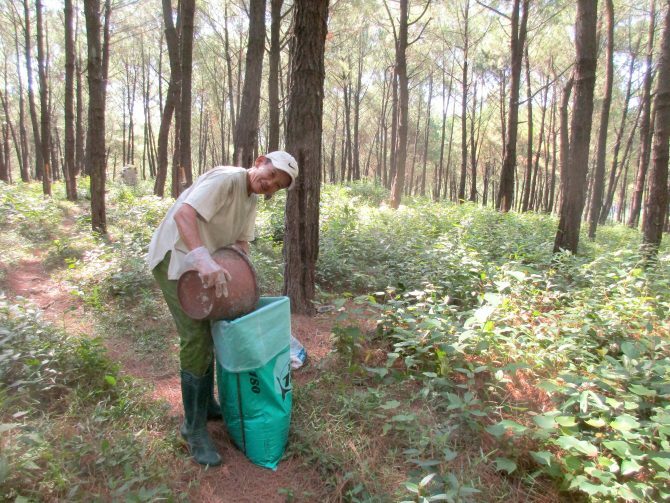 The quick response task was immediately triggered after a local plantation worker called to the hotline number to report his sighting while collecting resin in his pine forest near the La Vang Catholic Church, a famous pilgrimage for Catholics in Quang Tri Province. 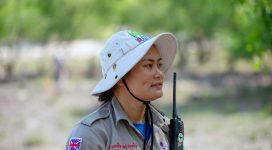 Nguyen Tan, who called and led the RENEW team to various locations where he had seen UXO, said that collection of resin required much walking back and forth. 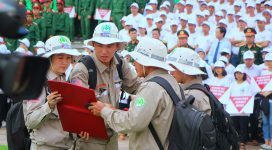 ” I must use a grass-cutter to clear the weeds around pine trees so I have been always scared of disturbing UXO,” he said. 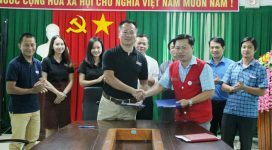 Tan now has peace of mind to work after RENEW team has moved the UXO to their demolition site in Phuong Lang Village of Hai Ba Commune for disposal.